A couple of years back, I came across a journal article about Brighton Museum's postcard collection. Dr. Annebella Pollen, Lecturer in History of Art and Design at the University of Brighton, had used the museum’s 10,000 cards to establish whether people in Edwardian Brighton used the open form of the postcard to conduct their love lives. Or, as Annebella put it when we met, she was asked by the museum to locate some "sauce”. Part of the museum’s 'Rules of Attraction' project, Annebella was one of six “Researcher-Interpreters” tasked with finding stories of courtship hidden in objects at the museum. As a photography expert, she was initially drawn to the holdings of old photos: snapshots taken of Brighton since the mid-nineteenth century. “Am sending you [a] photo of the boy I told you about," wrote Lou to Old Ede on the back of a photographic card showing a group of men of whom one is marked with a cross. "What do you think of him?” she asks. Annebella recognises it's easy to read innuendo into the most innocent of messages. 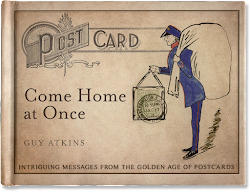 But such was the volume of obviously romantic messages, she was able to show the postcard was a medium through which many people in Edwardian Brighton conducted their love lives. When we met I was keen to understand more about the moment Annebella chose the postcards over the photographs: how she came to see the potential of the cards. Annebella told me how she's always been interested in the act of writing. Up until her mid-twenties she kept a daily diary, and this has made her on the look out for different writing cultures. More importantly, she revealed something else that changed the way I now think about her research: Annebella is a collector of postcards herself. 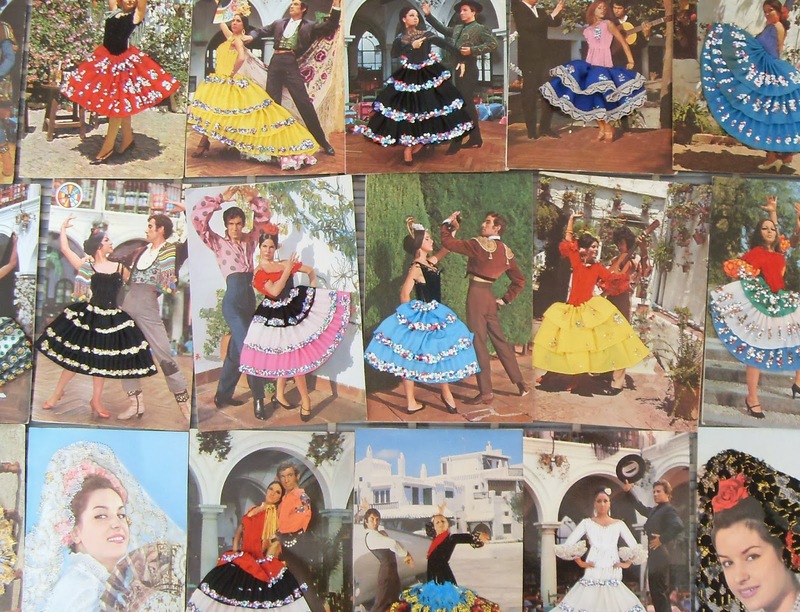 For years she has “hoarded” examples of Flamenco-style cards associated with Spanish tourist resorts. Typically, they come decorated with folds of colourful, spirited material; dancers’ dresses swish out from the cards' fronts. With this, her role as “Researcher-Interpreter” somehow shifts. On my first reading of her paper, I only clocked the “Researcher” half of the tag given to her by the museum. After meeting her, it seems just as crucial to her research were her instincts as “Interpreter”. Not for the analysis of the cards. This is as patient and thorough as you would expect a piece of academic research to be. Rather, it seems her experience of collecting allowed her to make the most of access to the museum’s collections. She was alert to where the treasure might lie. 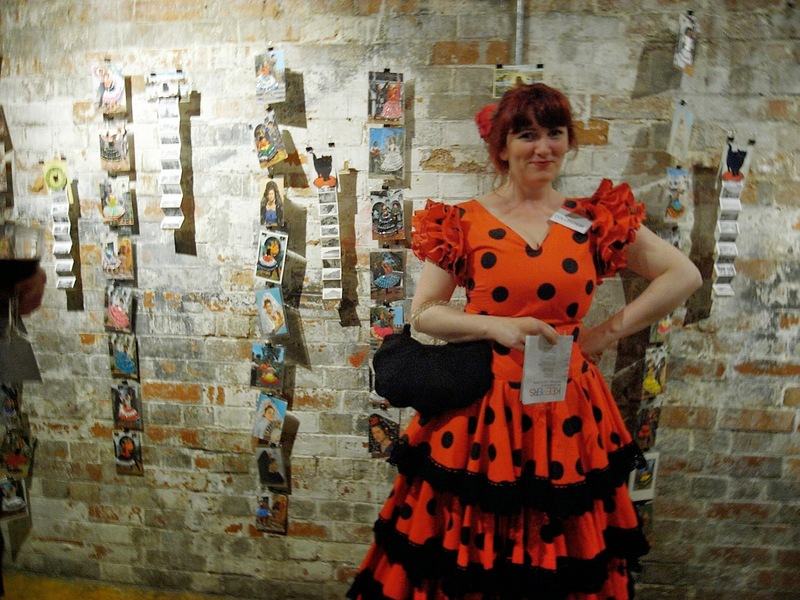 For more on Annebella’s work, visit her profile on the University of Brighton's website.